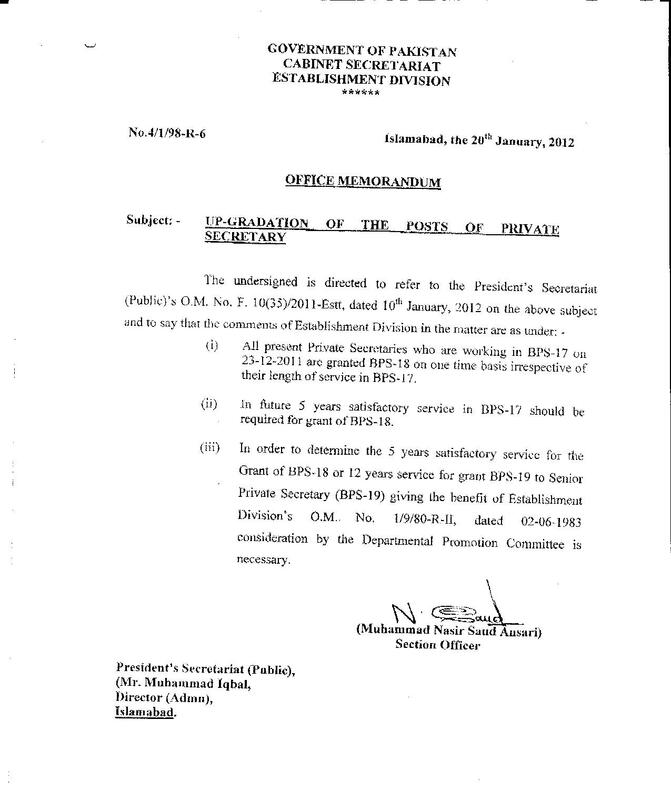 Up-gradation of Stenos/PAs/PS has been implemented in Pakistan Bait-ul-Mal, a Federal Govt. Department. 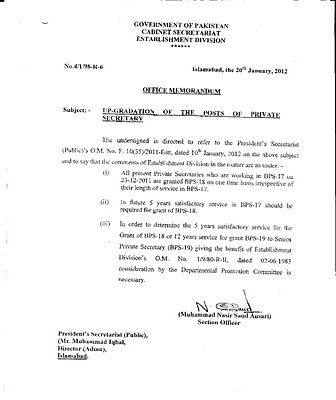 Yousaf Dear, Good news, the Notification/orders in this regards be thrown on forum, so that someone can put it to their department as example.Or send by E-mail. sabir_chauhan6@yahoo.com, so it can be shown on this forum for guidance to someone.I also request to the provincial stenos, please send any development of their province in this regards for public interest.